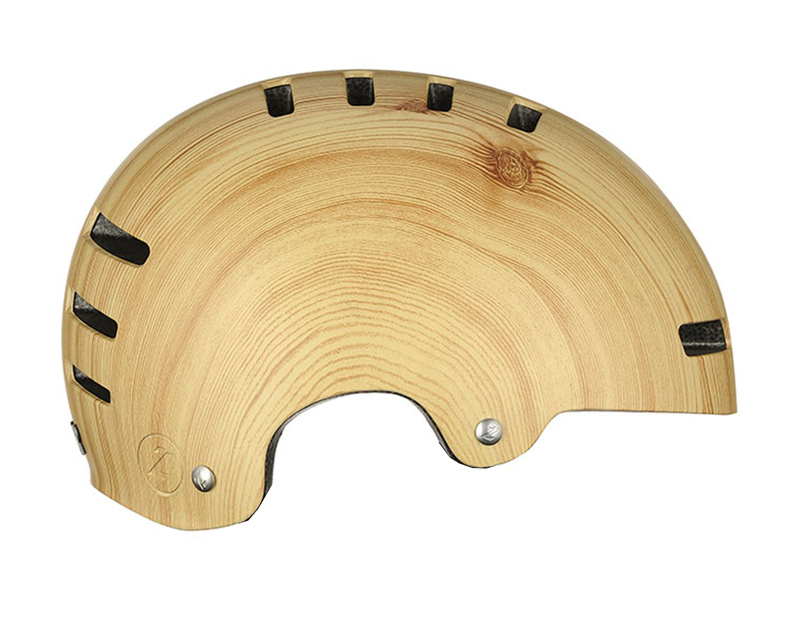 The skate style inspired Lazer Helmet is finally also available in wood! Classic styling combined with modern production technologies creates a lightweight but durable helmet. The Street Deluxe has all of the great features of the normal Street, but adds leatherette straps with a magnetic buckle, and metal strap hardware. It has ventilation channels in the EPS to provide sufficient cooling, while a hard shell construction makes sure the helmet can take a beating. The Light Wood Grain, fantastically populair in previous seasons is also available in Dark Brown and Black Wood.